In the aftermath of the global financial crisis in 2008, Britain’s government put into effect a hotly contested series of major cuts in public expenditure with the stated aim of restoring economic security. Since then, this reign of austerity continues to devastate contemporary Britain through a disconnected and unaffected political elite. In The Violence of Austerity, David Whyte and Vickie Cooper bring together the passionate voices of campaigners and academics to show that rather than stimulating economic growth, austerity policies have led to a dismantling of the social systems that operated as a buffer against economic hardship. Chapters from major contributors—including Danny Dorling, Mary O’Hara and Rizwaan Sabir—show how austerity is a form of institutional violence more socially harmful and far-reaching than other more politicized and publicized forms of violence, such as terrorism or gun violence. Contributors expose highly significant cases of this institutional violence driven by public sector cuts: police attacks on the homeless, violent evictions of the rented sector, risks faced by people on workfare, and more. 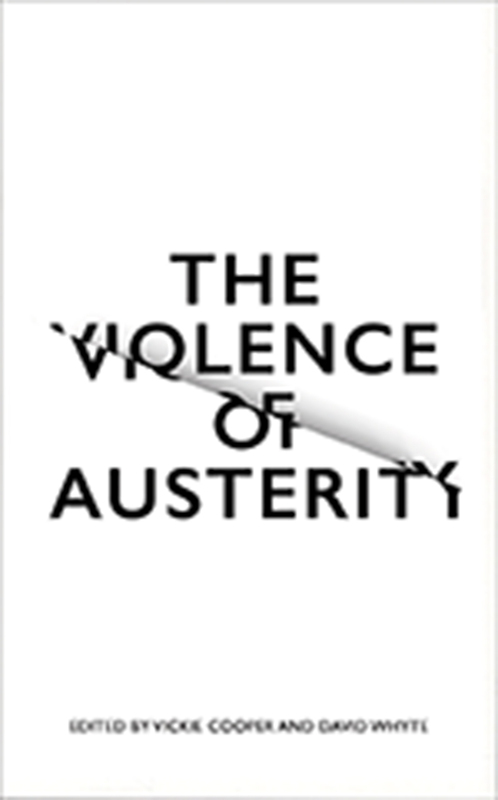 The Violence of Austerity is a devastating, authoritative study of the myriad ways austerity policies harm people in Britain that will resonate with anyone concerned with the increasing power of the political elite and the future of social welfare. "The Violence of Austerity is a dazzling collection of short essays which detail how state violence is unfolding in Britain on multiple scales and in myriad forms. This comprehensive mapping of the effects of this war against human welfare marks an important intervention in debates about the future of British state. It is also an important historical record of the ways in which people are resisting the depletion of their families and communities by bureaucratic agents of neoliberal capitalism." "In this brilliant book, Cooper and Whyte bring together the arguments that break down the sick Tory Party political violence against the people of Britain. This book shows that there is only one response to the imposition of austerity as a crude and violent political strategy, and that is to turn our anger back against the Tories."